Not all Soy Products are the same! There are hundreds of different soy products on the market these days, but when it comes to nutrients and health-promoting qualities: Not all Soy Products are the same! Some soy products are far better for you than others. Who ever told you Edamame was bad for you was wrong! It provides fiber, helps reduce heart disease, and cancer. Temph is a traditional Asian and Indonesian food. It’s a cultured soy cake that sometimes has other grains or spices added to it. You can cook it lots of different ways! 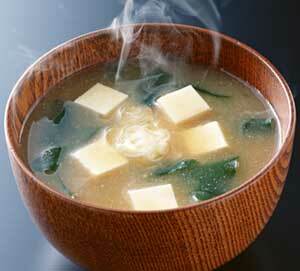 Tofu is made from soybeans milk curd and looks a bit like cheese! Don’t be afraid of it though. It’s very mild in flavor but you can spice it up any way you’d like. This is only for the brave! Natto is a fermented form of soy popular in Japan. It has a very strong smell and taste. Not my favorite way to add soy into my diet but it’s out there! Now I bet your wondering- How much SOY should I consume every day to help lower my risk of breast cancer? Experts suggest 4-12 ounces.